NMM 5877. 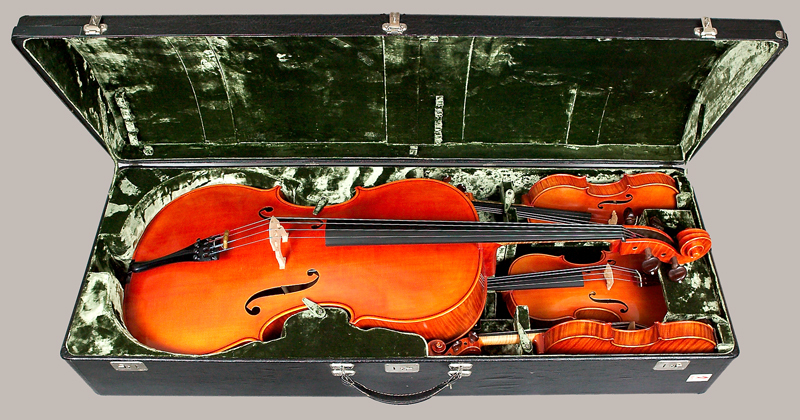 Violin by Kurt Lothar Meisel (1929-2011), Owatonna, Minnesota, 1976. Serial no. 135. Stradivari model. Gift of Neal and Karin (Meisel) Steffenson, Owatonna, 1995. 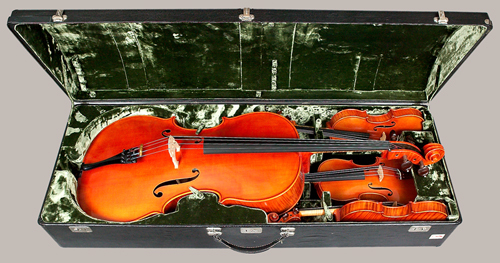 NMM 5877 is the second violin in a quartet of instruments at the NMM made by Lothar Meisel (see also NMM 5876, 5878, and 5879). Printed in brown ink on paper label with lined texture and wavy-line border, the location, last two digits of year, and serial number written in black ink, signed Lothar Meisel in blue ballpoint pen over label text: [bird on branch] K. Lothar Meisel [KLM monogram over lyre] / Violinmaker and Repairer / from Klingenthal, Germany / OWATONNA 1976 No: 135 / MINNESOTA. The bird on the label represents the family branch, known as the "Bird" Meisels. Branded on inside of back, visible through treble f-hole: [large typeface] K.L.MEISEL OWATONNA/MINN. Branded on inside of back in front of top block, to treble side of center joint: OWATONNA/MINN. Branded on inside of back in front of bottom block, to bass side of center joint: OWATONNA/MINN. Top:� two-piece, quarter-cut spruce: fine grain. Back:� two-piece maple cut off-the-quarter: prominent, medium curl descending steeply from center joint; small maple dowel through back into top block; small maple dowel through back into bottom block. 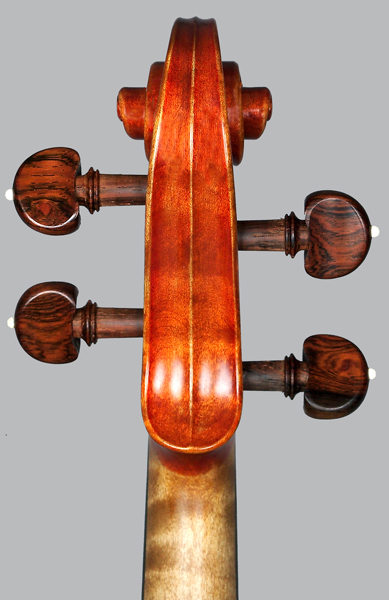 Ribs: quarter-cut maple: prominent, narrow curl angled to right on bass side, angled to left on treble side; lower ribs divided by purfling strip and two wide pernambuco strips; rib corners slightly rounded. Head and Neck:�maple: broad curl; inside of pegbox stained black. 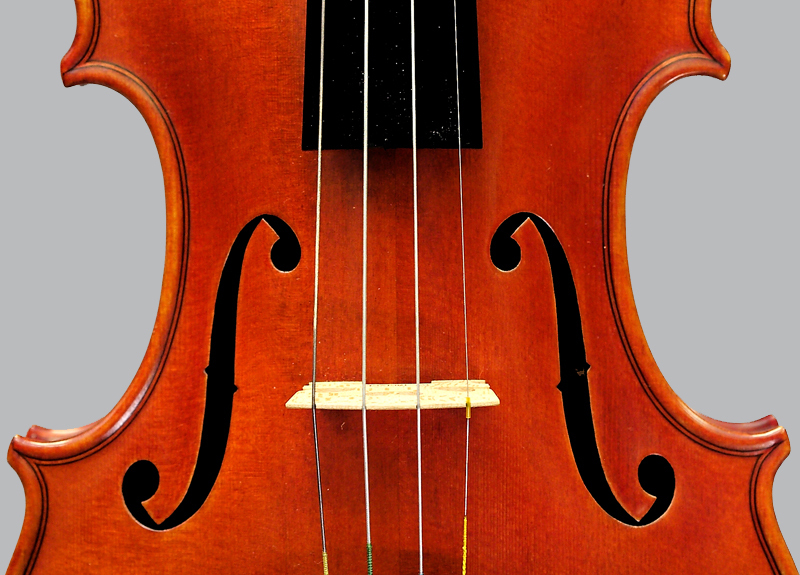 Purfling: maple and pearwood; wide center strip. Varnish:� medium orange; wood texture visible through varnish, resulting in a matte effect. 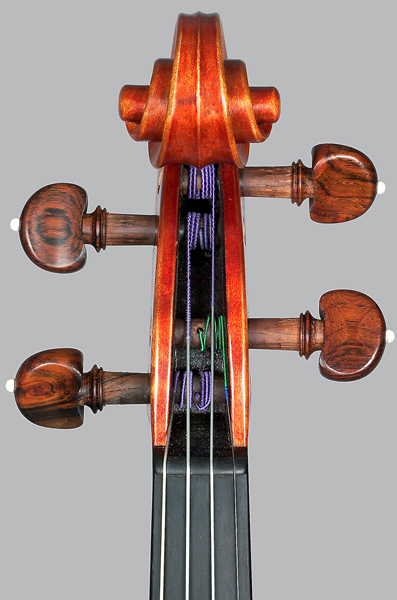 Fingerboard: ebony; made by Josef Klier, Bubenreuth, originally from Schönbach. Tailpiece: rosewood; beveled face; ivory saddle; made by Herfried Werner, Bubenreuth, originally from Ursprung, Czechoslovakia, near Schönbach. Endpin: rosewood with ivory pin; made by Emil Lorenz, Bubenreuth, originally from Schönbach. F-holes: steeply pointed wings; lower wings channeled; undercut; inside edges stained black. Other: spruce cleats along inside of top center joint; maple cleats along inside of back center joint; inside of body stained light brown. Prod. Julie Kucaj, "Lothar Meisel," Arts & Minds. Bravo! News Style Arts Channel, Toronto, 30-31 Jan. 2003. K. Lothar Meisel with Betty Vos, The Meisel Family Violin Makers: Klingenthal, Vogtland, Saxony (Ely, Minnesota: Singing River Publications, Inc., 2007), pp. 250-251.